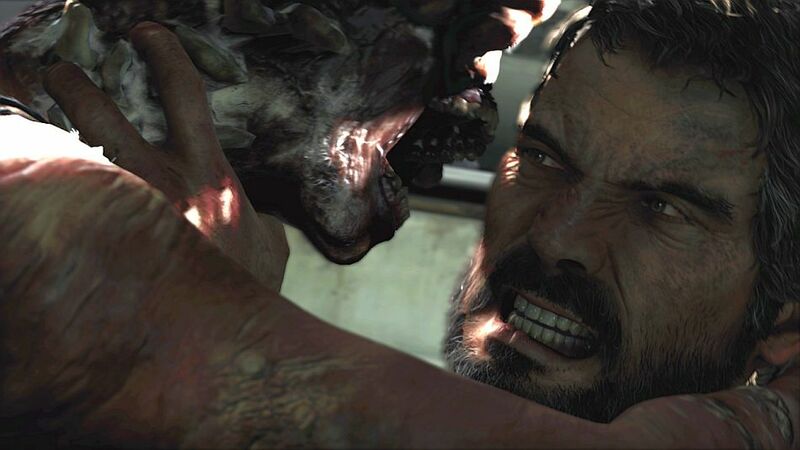 The Last of Us, for me, is going to be a difficult game to review. On one hand, it’s a Naughty Dog game, through and through, which by default adds a certain level of expectation, but on the other hand, they’re not making Uncharted here. To top it off, this is a PS3 game, which I tend to not play; it’s just not my go-to console. In between long periods of unconsciousness, I managed to take 2 months to complete this game. How long do you think it’ll take to complete this review? 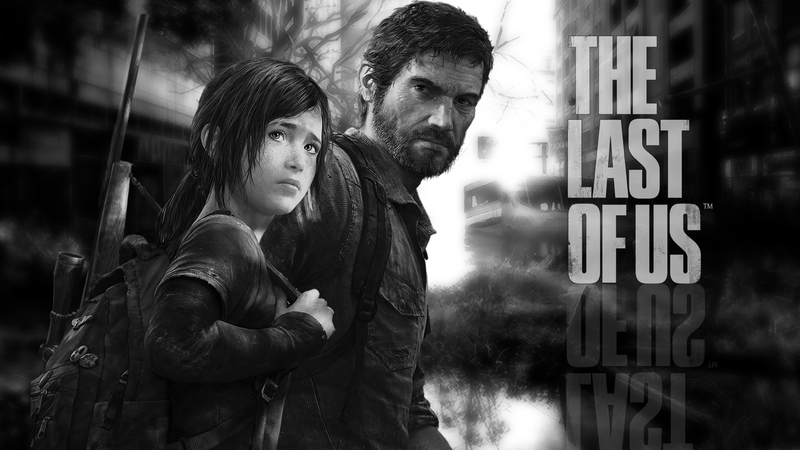 The Last of Us is a real attempt at a story game. Naughty Dog has taken Uncharted and stripped it down to its fantastic essentials: the combat, the characters, the visuals and level design, and added a deep emotional story to the mix. Due to the stylistic choices that Naughty Dog has made, it can really only be played in one manner: large blocks at a time, then breathe when the story transitions to a slow part. Picking it up again somehow feels like a chore because the story is slow and methodical, but has events that heed a sense of urgency. 20 years ago, the world got infected, and now the country lives in a policed post-apocalyptic state. Joel and Ellie are our protagonists. Both are survivors who have lost their loved ones. Joel, the father figure, who lost his 12 year old daughter, and Ellie, the orphaned, immune-but-infected 14 year old he’s been tasked with transporting and protecting. The game spans a full year as the player treks the country in the search of a survivor resistance group called The Fireflies who we’re told can render a cure from Ellie. Be forewarned, the game is dark. It tells a tale of tragic times, catches people at their worst, shows them at their most animalistic. Joel has survived this pandemic for 20 years, in this policed environment, and it’s taken its toll. There’s no length he won’t go to, to survive. Ellie was born into this world, and has lost friends while she has remained immune to the infections. As I mentioned above, Naughty Dogs has stripped away the epic action pieces and plat-forming of its Uncharted series and focused more on a closed, stealth focused survival horror game. Fundamentally, it’s still a 3rd person shooter, you’ll have to manage ammunition and craft defensive weapons to stay alive. You carry a backpack which allows you to switch out different weapons to handle different scenarios and enemies. As a result this is a slower game to tackle, and if you’re already not in love with the scenario and characters, you may stress out and stop playing. Built on the already incredible Naughty Dog engine, the game is expectedly gorgeous; character animation is mo-capped, smooth and intelligent, and the enemy AI is smart and resourceful, calling for help when necessary, and finding ways the flank the player, and the partner AI is very alert and agile. The cut scenes are brilliantly mo-capped as well, and evoke true emotion, sometimes truly touching, others cringe worthy. Now, after a long list of niceties, the negatives are almost unwanted. The game is thoroughly fantastic, and the only real gripe is the slower, methodical pace. The game is broken up into hectic shoot-out sections with human survivalists, and then followed by tense, stealth survival sections against the infected, finally concluded with the slow paced story and unique puzzle sequences. Rinse, reorder, and then repeat. It’s a long game, and as we travel further and further west, the situation becomes dire and more urgent. At times it’s hard not to put the game down, at others, due to the stressful urgency of the sequences, you’ll need a breather. The problem is getting the timing down, as you’ll ruin the pace when you break at the wrong time. Do yourself a favour, play the game. Just don’t, like me, spread this masterpiece over two months. This entry was posted in Reviews and tagged Ellie, Joel, Last of Us, Naughty Dog, PS3. Bookmark the permalink.